In 1905, the spring-loaded wiper arm was patented. In 1913 it was replaced by a mechanical arm. Since then, the windshield wiper blade has pretty much remained the same...until now. 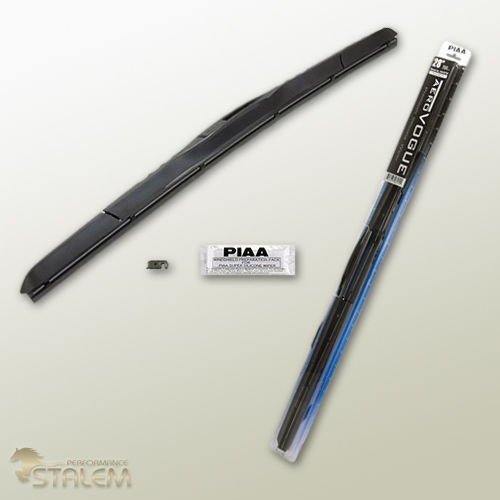 PIAA now offers a new clarity of vision in their silicone wiper blades. From the initial design process to extensive laboratory testing under the harshest conditions, this revolutionary windshield wiper blade outperforms every other blade currently on the market. 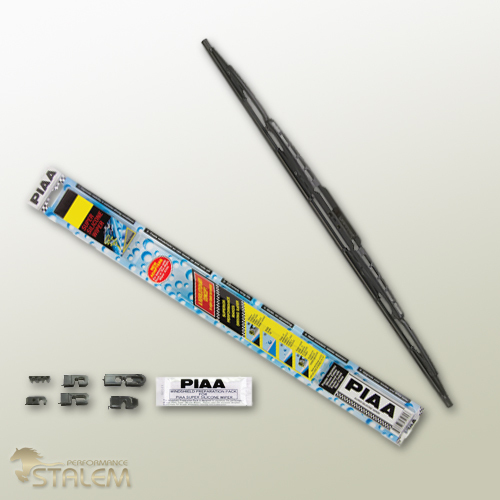 PIAA’s Super Silicone Wiper also offers a new clarity of vision in inclement weather. From the initial design process to extensive laboratory testing under the harshest conditions, this windshield wiper blade outperforms every other blade currently on the market. 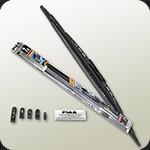 The Super Silicone Wiper Blade ensures greater visibility while offering enhanced age resistance in all climates - heat, ozone, ultra-violet, and wear - clearly out performing the industry standard. Highest Quality Silicone Rubber Compound. The Super Sporza Silicone Wiper uses the same frame and blade technology as the Super Silicone Wipers, with the added Aerodynamic Spoiler to reduce lift at high driving speeds. At high speeds or in windy conditions, the spoiler keeps the blade on the windshield. 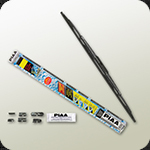 PIAA Super Sporza Wipers are available in a flat black finish. 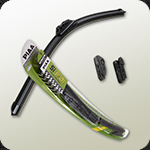 The Super Sporza Wipers are available in lengths from 18” – 26”. 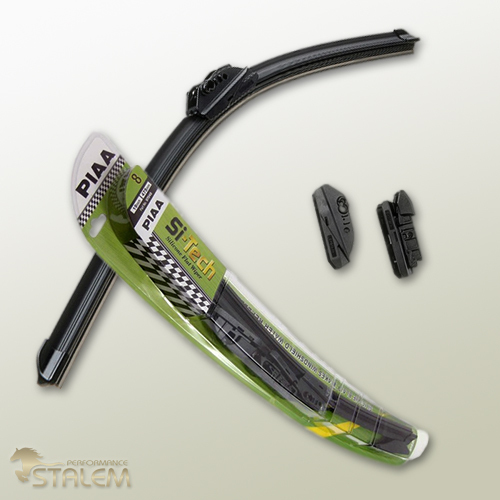 The PIAA Si-Tech (Silicone Technology) Flat Wiper Blade, a modern, frameless design that delivers all-season performance, thanks to PIAA’s patented silicone impregnated rubber blades. The key to the PIAA Si-Tech’s performance is its frameless design that creates more pressure points across the entire length of the blade for streak-free wiping. Moreover, the design eliminates snow and ice build-up. It is heat and ozone resistant, and its silicone rubber continually reapplies an active silicone coating on the windshield, assuring streak-free, quiet operation. Applications For 98% Of All Vehicles. 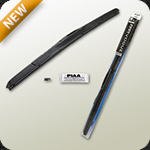 PIAA Aero Vogue high performance silicone wiper blades were designed with performance and functionality in mind. 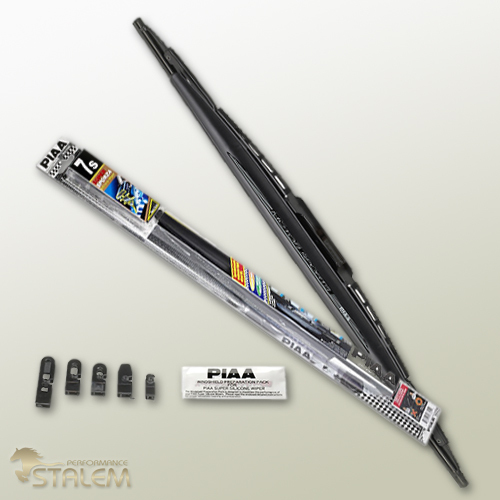 They feature PIAA’s patented silicone technology which reduces surface tension, causing water to repel from the windshield for streak free and quiet operation. The new aero style cover features “Pass Through” technology which greatly reduces blade chatter and wind lift at higher speeds.